The 2016 report from the national Advisory Committee on Increasing Competitive Integrated Employment of Individuals with Disabilities acknowledges “the longstanding challenges to effective school-to-career transition for youth with disabilities.” This is despite the “growing body of research showing that work experience and competitive integrated employment during secondary school years predicts successful post-school employment.” The committee was legislated by the 2014 Workforce Innovation and Opportunity Act and chaired by David Mank, now retired director of the Indiana Institute on Disability and Community. The Act allocates 15 percent of public funds to pre-employment transition services, among other provisions. It provides greater flexibility in addressing employment issues at the state and local levels. In 2016, Achieving a Better Life Experience (ABLE) Act savings accounts for people with disabilities were established by Indiana state law. 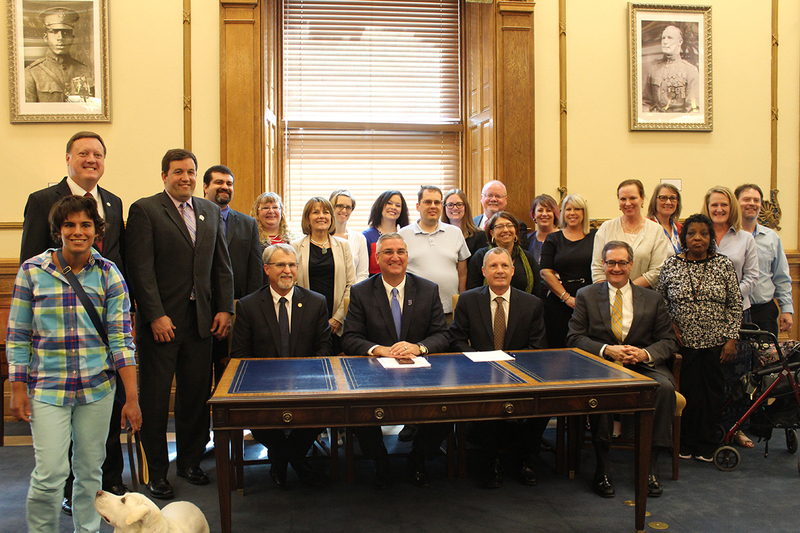 And on May 10, 2017, Governor Eric J. Holcomb signed “Employment First” legislation, joining 34 other states promoting employment as the first goal for people with disabilities. "I don't know how we did what we do before he was here. He's such a great addition to the team. Everybody here loves him."